Shop – Classes, Workshops, and More! Register NOW to make sure you don’t miss any important deadlines for purchasing lunches and tote bags (see below). The conference will be here before you know it- on September 22-23 at Mayo Civic Center in Rochester MN. Volunteers – looking for a few good people! 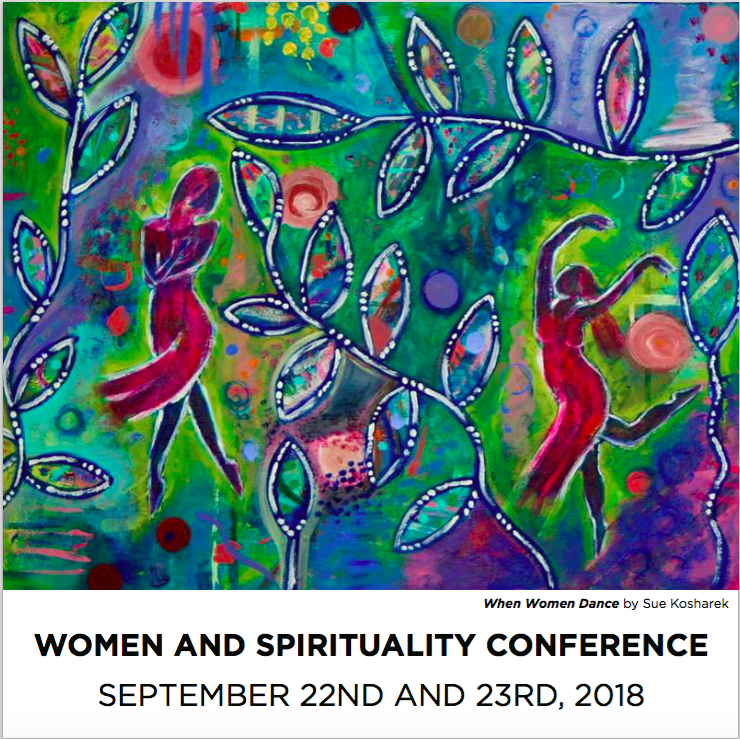 Are you interested in working behind the scenes to make the Women and Spirituality Conference a success? Join our team! We are looking for workshop proctors, hospitality workers, and registration helpers. Work 4 hours and get the conference for FREE. Email Virginia at info@womenandspirituality.org right away. We need 10 volunteers to make this huge event run smoothly and would love to have you on the team!! This year we also have an amazing group of 83 exhibitors featuring returning favorites and new faces. We are currently SOLD OUT of exhibit spaces but are keeping a wait list. Discounted hotel accommodations for those coming from out of town can be found here. Our discounted hotel rate at the Doubletree by Hilton expires on August 30 so book your room before then! Catered lunches are available for purchase here. Although there are restaurants in the downtown area, purchasing a catered lunch allows you to relax and enjoy the vendors and Maker’s Space. Lunches will not be available for pre-order after September 18 so please place your order before then. Join us on Facebook to get updates and information here. Our Keynote Speaker, Donna Mejia will be offering a dance workshop, Welcome to Planet Donna on Friday morning from 9am-noon in Rochester. Visit the web site for more information and to register. To learn more about Donna, visit here. Last year we gave away 60 full conference registrations to women who wouldn’t have been able to afford to attend. YOU can help sponsor a woman to attend this conference! 100% of proceeds from this beautiful tote bag ($15) will go to our scholarship fund. Thank you to Sue for donating her beautiful art. We are looking for a few good women (men and teens)! Are you interested in VOLUNTEERING for the Women and Spirituality Conference in exchange for free registration? Visit our web site for volunteer descriptions and contact information. Copyright © 2017 Women and Spirituality Conference, All rights reserved. Women and Spirituality Conference3936 E. Frontage Rd.